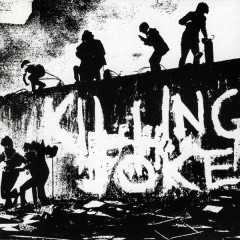 Killing Joke is an English rock band formed in October 1978 in Notting Hill, London, England. The original line-up included Jaz Coleman (vocals, keyboards), "Big" Paul Ferguson (drums), Kevin "Geordie" Walker (guitars) and Martin "Youth" Glover (bass). Their first album Killing Joke was released in 1980. After the release of Revelations in 1982, bassist Youth was replaced by Paul Raven. The band achieved mainstream success in 1985 with both the album Night Time and the single "Love Like Blood". A key influence on industrial rock, their early music was described by critics Stephen Thomas Erlewine and John Dougan as "quasi-metal [...] dancing to a tune of doom and gloom", which gradually evolved over the years, incorporating elements of electronic music, synthpop and gothic rock, though always emphasising Coleman's "savagely strident vocals". 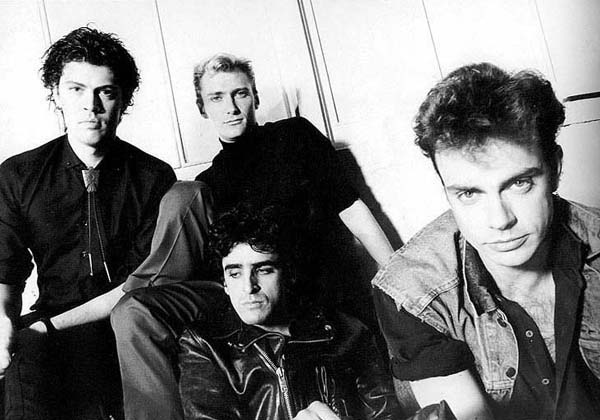 Killing Joke have influenced many later bands and artists, such as Metallica, Nine Inch Nails and Soundgarden. Coleman and Geordie have been the only constant members of the band. With a reputation forged in fire, brimstone and magic, plus a collective view of the world that seems increasingly prophetic, Killing Joke have long been one of rock’s most iconic and influential names, with a string of revered recordings to their name. Their story (and it’s an extraordinary one) dates back to 1978 and the post-punk scene of West London, where classically-trained musician and vocalist Jaz Coleman, drummer Big Paul Ferguson, bassist Youth and guitarist Geordie set about establishing a new and idiosyncratic manifesto for reinventing the rock ‘n’ roll wheel. Since 2009, when this original line-up re-entered the studio, Spinefarm Records has been the home for the band, releasing the ‘Absolute Dissent’ album in 2010, the ‘MMXII’ album in 2012 and the ‘Singles Collection’ in 2013; and now, in 2015, with the world descending ever further into chaos, comes 16th and latest studio outing, ‘Pylon’. As with all KJ releases, ‘Pylon’ isn’t designed to accompany a quiet night at home; these 10 tracks (produced by the band and Tom Dalgety, whose recent credits include the hugely successful Royal Blood album) are very much music as ritual – raw, uncompromising and precisely-targeted lyrically. While other bands of a certain vintage may struggle to maintain their edge, Killing Joke are delivering the best and most relevant material of their career, with Geordie’s eclectic guitar tones – delivered at arresting volume through a hollow-bodied Gibson ES-295 – continuing to define the black beating heart of the group. Famously described as “the sound of the earth vomiting”, Killing Joke continue to be a punishing antidote to mainstream music and corporate life, with international tour dates being lined up from October onwards.